Western Life Camp is a perfect location to learn about, collect and eat wild foods. The ability to harvest them is basic to survival and homesteading skills – skills that are popular and fun, and may one day be of great service, one never knows! Pueblo people lived here five hundred years before the Spanish came, and knew all the edible native plants and edible bugs and larvae. The indigenous people fished, hunted and picked mushrooms in the mountains where they traveled in the summer and the valleys where they lived in the winter. They ate the nutritious wild onions – the nodding onion has tiny purple flowers that are a charming addition to salads. The indigenous people flavored foods with spruce buds and juniper berries, and they ground and cooked the seeds of saltbush and Indian ricegrass, which was a major sustainer. They ate the cactus pods and the flowers of Yucca after boiling and roasting. All summer they ate the leaves and flowers of fireweed and bee balm, also called oregano de la sierra – more delicious than commercial oregano. 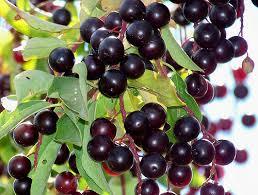 They ate wild plums and rosehips and berries of chokecherry and wax and golden currant and three-leaf sumac, also called lemonade berry. The nuts of pinon, ponderosa and white pine are nutritious. Naturally many, many wild seeds and nuts, roots and bulbs, dried fruits and meats and mushrooms were stored for the winter. When you live largely in the glorious outdoors you have a big appetite! 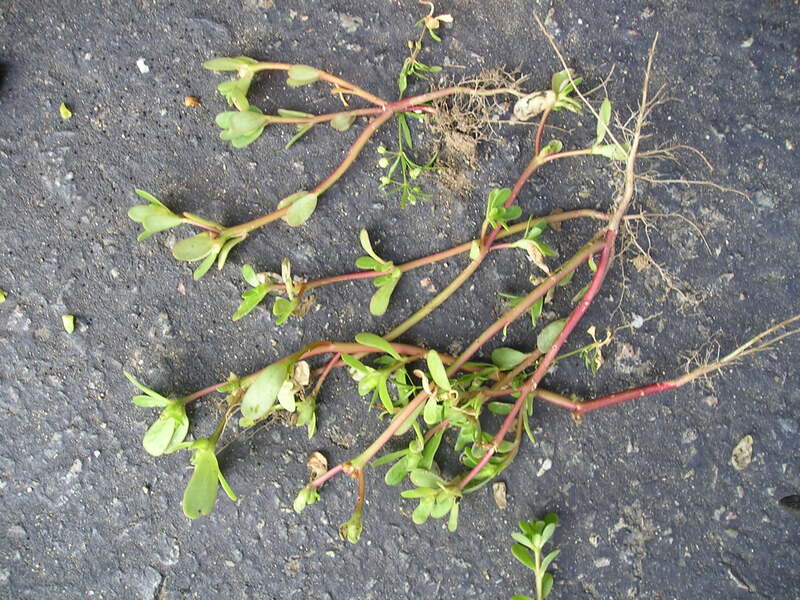 Purslane is a common weed in New Mexico because the Spanish brought it with them when they came to the New World. 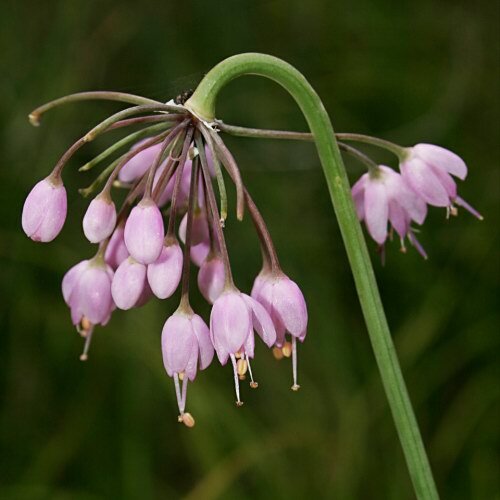 You can eat it all summer and for the winter hang it on a string or toss it in a bag, then when its in the stew pot it plumps up again and gives its flavor and nutrients. The new greens/weeds of spring are very nutritious. All our veggies started out as weeds – weeds from around the world – that we cultivated over long periods of time from plants with characteristics that appealed to humans. 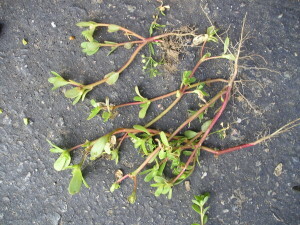 In the spring the young leaves of the amaranth (pigweed), clover, rumex, lamb’s quarters and mallow are great. In late summer you can cook the grain of amaranth or pop it for tiny “popcorn”. Clover flowers are so pretty in salad, as are rose flowers and geranium flowers. Also you can eat the geranium leaves or cook with them. All parts of the dandelion can sustain you. 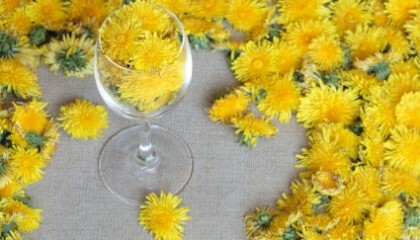 Here’s a simple natural wine: dissolve 1/2 cup of sugar in 1 cup of water and stuff a jar full of dandelion flowers – just the yellow flowers. 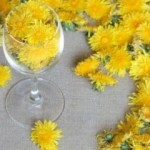 Cover the jar and then try it in the fall – delicious dandelion wine!